This is the first recipe of many as we commit to bring you more recipes this year. Personally, I love simple recipes that don’t make you jump through hoops and this one is very straight forward. It will work for folks who are eating clean, eating Paleo, eating low carb, etc. You’ll find all the ingredients and directions below. I decided to whip these up for a dinner option that I could have over a big salad. It’s versatile so I also cut up the fillets and added them to flour tortillas for lunch with lots of fresh veggies and some mango salsa. 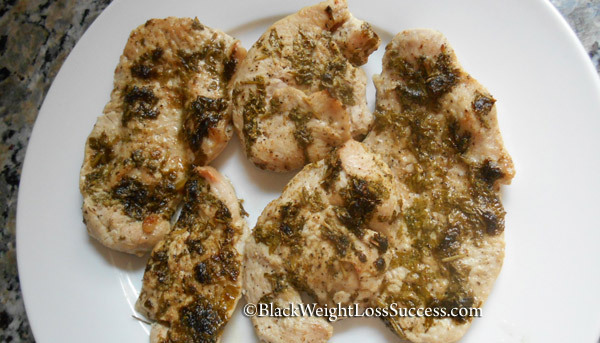 Turkey Breast Fillets are great because you get lean protein that’s already broken down into reasonably sized pieces. There are lots of options for this cut of meat. For example, you can have it with veggies, cut it up and add it to your salad or chop it up for soup. Three oz of turkey fillet gives you 130 calories, 2 grams of fat (.5 grams of saturated fat), 0 carbs and 26 grams of protein. Juicy and savory turkey goodness. I love the taste of cilantro, but it also has antioxidant properties and is heart healthy. [source] I think you will find a lot of flavor in this recipe. Enjoy. In a small bowl, add the olive oil, lemon juice cumin, coriander and pepper, then stir. 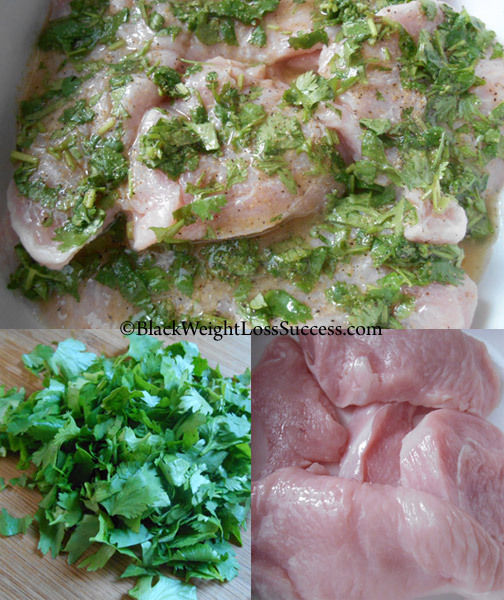 Then add the cilantro to the same bowl and coat with the mixture. Sprinkle the turkey fillets with salt on each side. Salt to your taste. 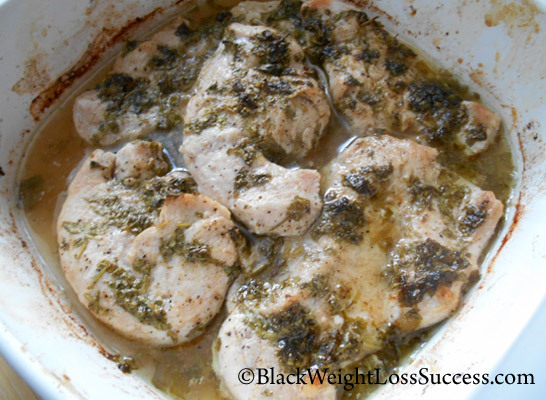 Place the turkey fillets in a small or medium sized baking dish. Cover and bake at 400 degrees for 25-30 minutes or until a meat thermometer reads 170 degrees. Check at 25 minutes to prevent overcooking.